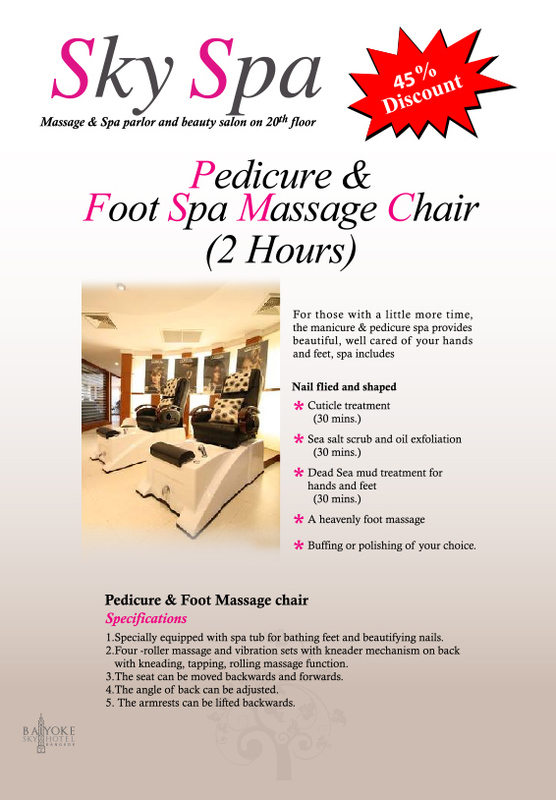 Relax in a nice private cool room in this summer and enjoy the foot reflexology massage promotion. 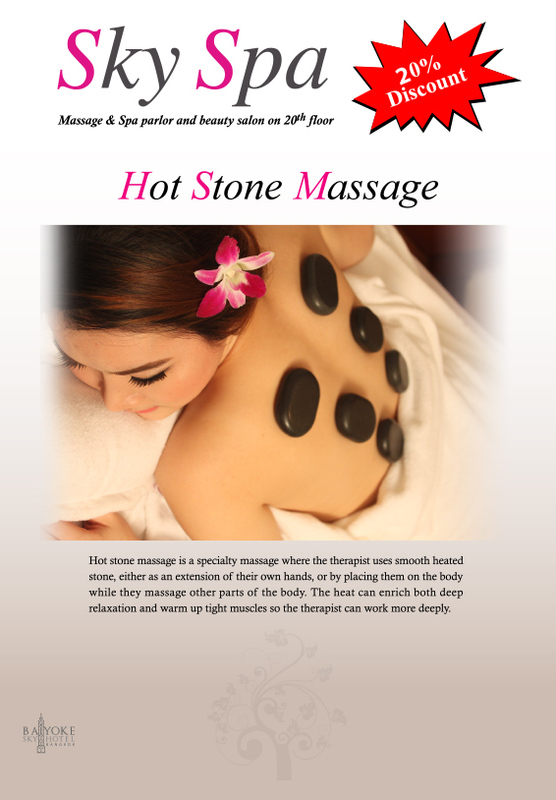 The treatment starts with gentle foot massage by cream over the foot nerves to relieve the stress and stimulate the blood circulation that could prevent constipation, headache and get rid of toxin. 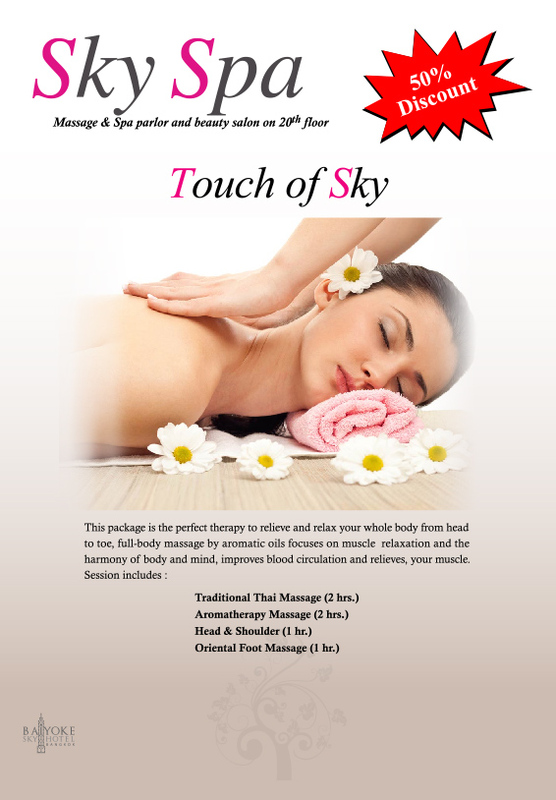 Special promotional price is only THB 600.- per person per 60 minutes from regular price of THB 1,000.- More services of Thai traditional massage, herbal bag massage, facial treatment and other massages of beauty treatments are also available at reasonable prices. 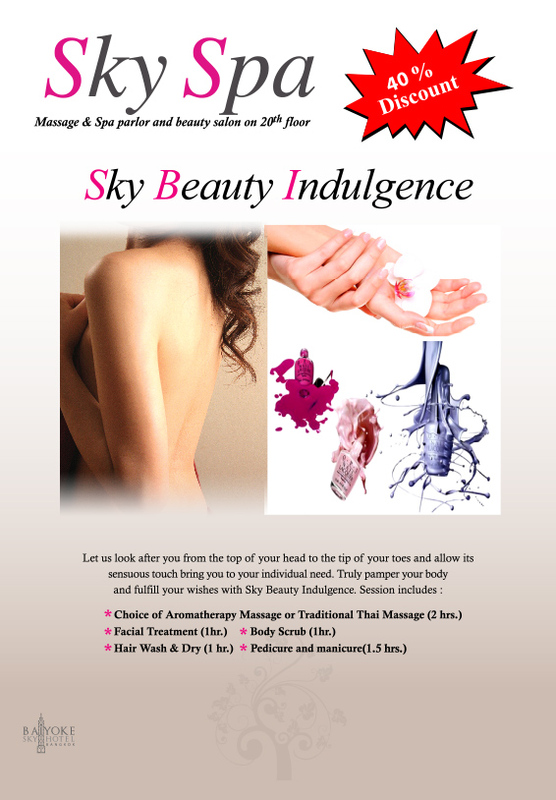 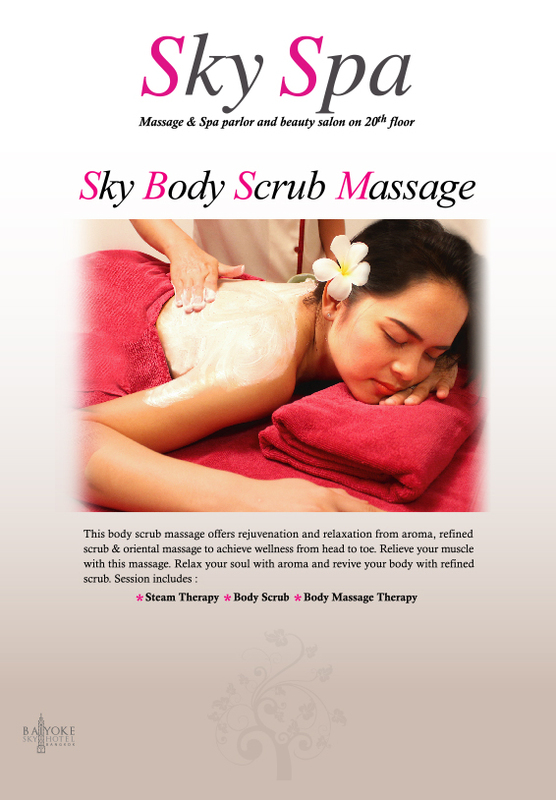 Sky Spa is daily opened from 08.00-01.00 hrs., located on 20th floor, Baiyoke Sky Hotel. 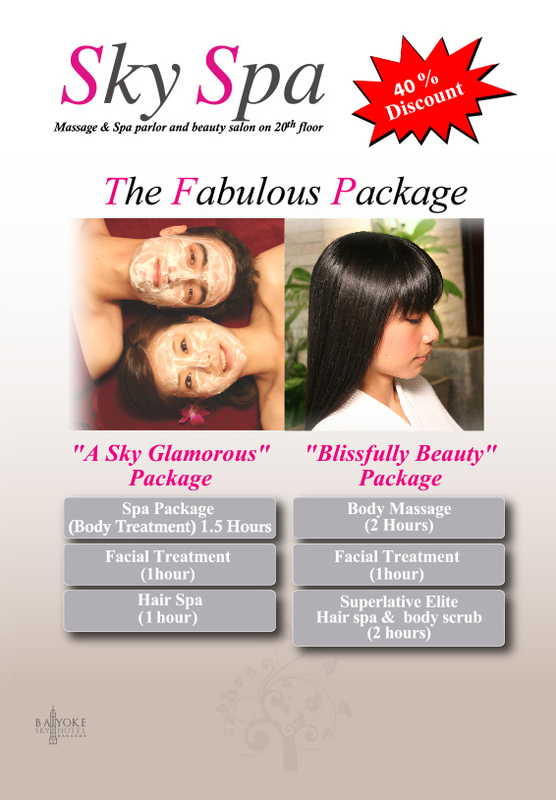 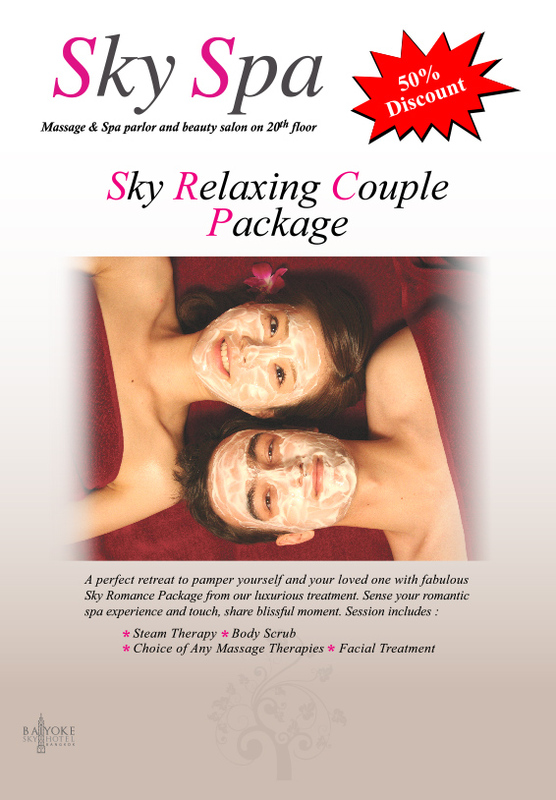 A perfact retreat to pamper yourself and your loved one with fabulous Sky Romance Package. 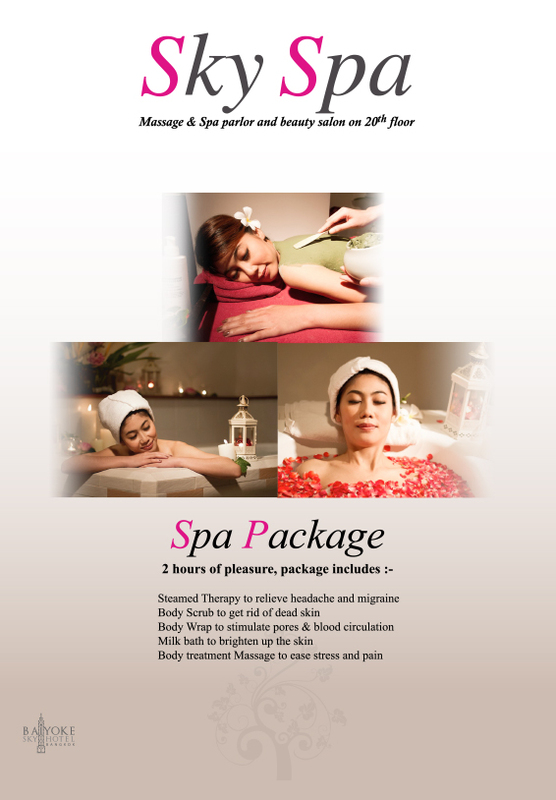 Make a date with your tired body, relieve muscular pain and treat it well with any choices of our 3 rejuvenating massages. 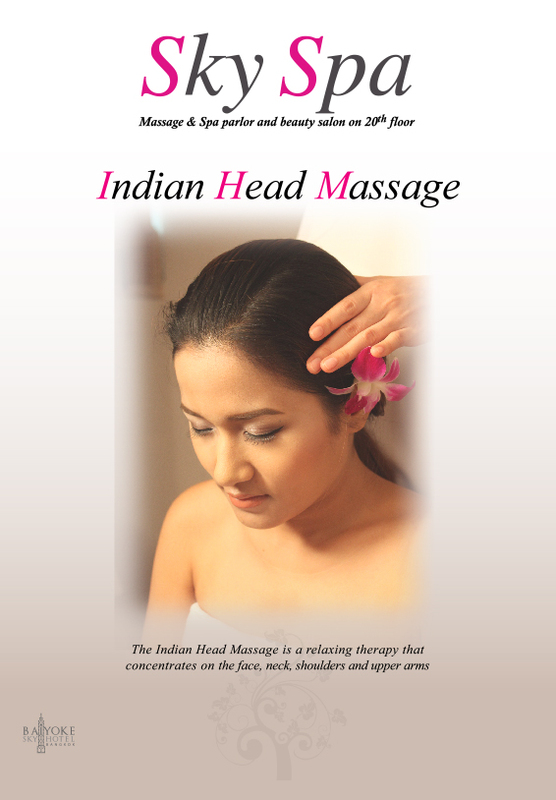 Let us look after you from the top of your head to the tip of your toes and allow its sensuous touch bring you to your individual need. 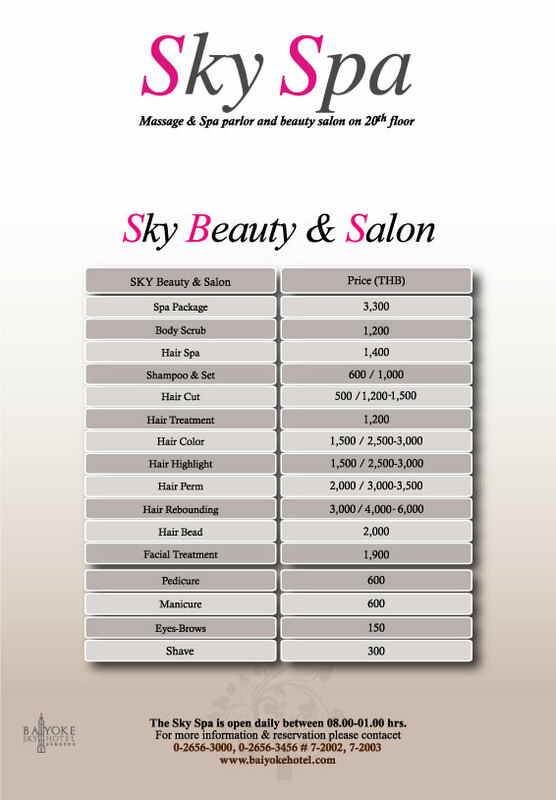 just simply show the room cards to grab the special discount and offer.